Nidra means “Sleep or deep quiet of the mind” is said also “The sleep of the Yogi.” The musical project is a continuation of the style of Nebula, and Ring of Life, in fact already announced in the exit in that album, only Nidra wants to be less introspective and more than accompaniment for treatments and meditations generally In collaboration with Massimo Di Nocera (Guitar), and Monnie Gi (Sitar), in the track of “Sankalpa”..
All music composition and graphic by jarguna Recording between 2012 – 2013 in Sound Course Studio. Behind Jarguna project is hidden Italian soundsculptor Marco Billi. Although quite unknown, Jarguna’s discography includes no less than 9 CDr/CD releases, both solo and some collaborations (with artists such Uzbazur, Lorenzo Squillari and Seba), and few additional albums, which are mostly available as free downloads (including collaboration with Kirill Platonkin). Marco Billi is also experienced traveler across the globe, mostly through Far East and Africa regions, and a highly proficient photographer. As an ethnobotany researcher, Marco Billi is also the driving force behind Shangri-la Association, dedicated to the protection of cultural and environmental traditions. So definitely don’t hesitate to explore his musical, visual, travelogue and researching adventures!!! 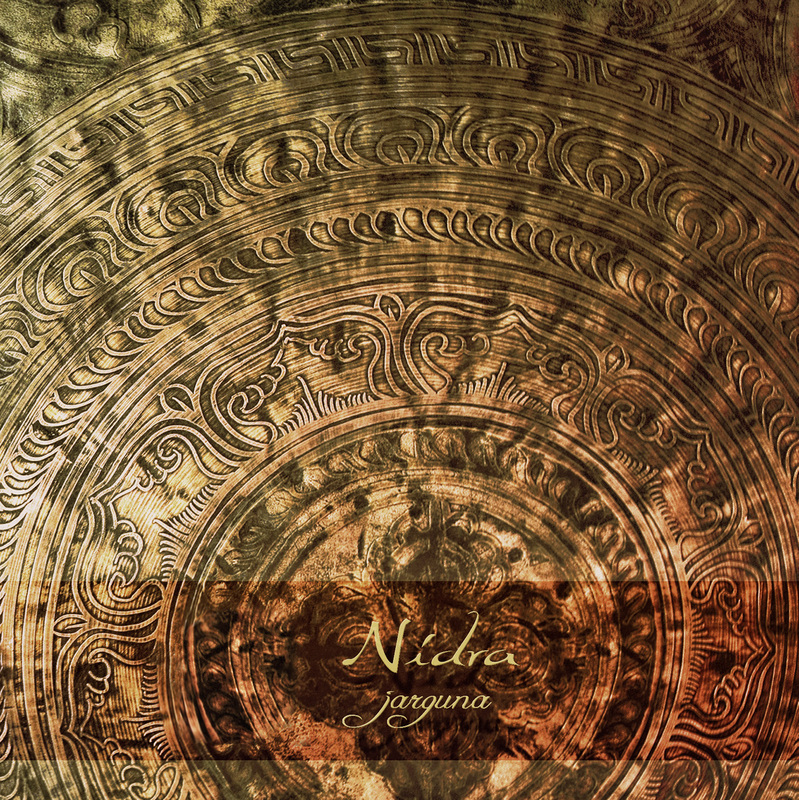 “Nidra” is the newest album by Jarguna, which was self-released, I believe, during December 2013 and it marks Jarguna’s return to more earthy soundscaping, as the previous work, a double album “Oscure Presenze” with Italian fellow artist Uzbazur (also known as Uzbazur345), delved into darker and spookier ambient terrains. Comprised of three lengthy tracks, “Nidra” is ignited with “Toward The Source”, a long-form piece reaching length of 34 minutes. Organic intro with natural sounds is wrapped by roaring wind and guarded by mysterious choirs hanging above. The atmosphere serenely floats through graciously expansive and gorgeously immersing cascades enriched here..
… and there by distant gentle dissonances, whistles and tinkles. Warmly embracing dulcet tunes invade along the way as well. Magically transporting journey awaits!!! The next track, “Winds Waves”, is slightly shorter with nearly 27-minutes. Fragile tinkles are blanketed by eerily desolate wind, but soon cavernous whistles and soft rumbles, evoking a wooden cow bells, join the scene and lead through elevating passages, which are harmoniously bridged with soothingly contemplative prayerscapes. A really gorgeous piece!!! The closing, 15-minute long “Sankalpa” features two guests, Massimo Di Nocera on guitar and Monnie Gi on sitar. The composition unfolds with tranquilly expanding washes, magnificently transporting into strikingly beautiful unbounded realms. Airy tribal drumming arises on far-off horizon, while lusciously subtle string magic permeates to the forefront, which is utterly heartwarming. Hummed sitar drone meanders calmly in the background. “Sankalpa” is undoubtedly a truly captivating conclusion of this album. Stunningly glorious composition, Marco, Massimo & Monnie!!! While journeying with “Nidra”, the listener is carried away into delightfully atmospheric meditative paradise filled with balmy subtlety and amorphous mystery. Enter your sonic Shangri-la now!!! “Nidra” is a very strong album with fitting artwork, certainly one of my faves by this gifted Italian artist, who is based in Sesto Fiorentino, Tuscany. Jarguna is a very strong addition to other kindred spirits of fruitful Italian drone ambient scene, so make sure to experience Marco’s soundworlds!! !